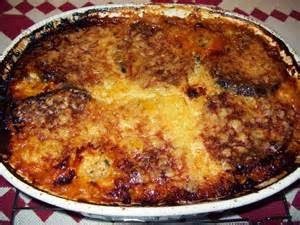 While I am on the subject of vegetarian dishes this week, I can't help but mention a wonderful and easy dishes of mine that appeals to everyone, whether they are vegetarian or not -Vegetable Moussaka. 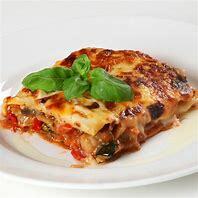 This is a slight variation on the traditional Greek dish. It is also really filling, so all you will need to accompany the dish is some slices of garlic bread. You will be collapsing on the sofa soon after this meal! 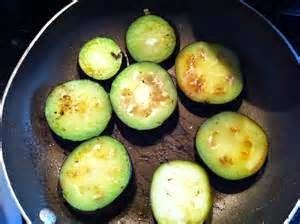 Heat 25g of butter with half the vegetable oil in a pan, add the aubergines and potatoes and cook for 10 minutes, turning. Put on a plate. 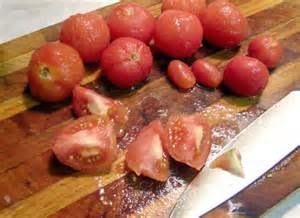 Heat 25g of butter and the rest of the vegetable oil, add onions, garlic and tomatoes and cook gently for 10 minutes. Mix in half the aubergines and potatoes. 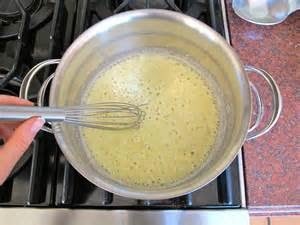 Make the sauce - heat 50g of butter in a saucepan, add the flour and stir for 1-2 minutes. Slowly stir in the milk until you have a smooth sauce, then take it off the heat. Mix in most of the cheese, the mixed spice, mustard and salt and pepper. Put half the mixed vegetables into an oven-proof dish, spread half the sauce over and then add the rest of the mixed vegetables. 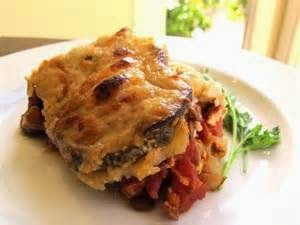 Put the rest of the aubergines and potatoes on top and then the rest of the sauce. Cover the dish with foil and bake in the oven for 1 hour and 15 minutes. Take off the foil and spread the rest of the cheese, put the dish back in the oven and turn up the heat slightly. Bake for 10 more minutes and then serve.